Conference theme: "Recentering Critical Tourism Studies"
Critical Tourism Studies-Asia Pacific (CTS-AP) is an international, interdisciplinary network for academics, community members and tourism practitioners. CTS-AP facilitates networking opportunities, the exchange of ideas, research collaboration as well as conversations that critically address contemporary issues in tourism studies. CTS-AP recognizes the multiple stakeholders in tourism. We welcome the diverse and sometimes disparate perspectives that these stakeholders bring to the table as we endeavor to broaden our understanding of tourism as both a subject of scholarly critique and one of thelargest industries in the world. In this way, we seek to critically engage with and start new conversations around a multitude of themes and issues in tourism studies. Originally launched in 2005 by Irena Atlejevic (Institute for Tourism Zagreb), Candice Harris (AUT), Nigel Morgan (University of Surrey) and Annette Pritchard (Cardiff Metropolitan University), CTS has materialized into a far-reaching network of critical tourism scholars. Inspired by the work of CTS, we look forward to expanding this network and supporting its mission to contribute to positive social change. Through critical engagement and creative collaboration, our intention is to create space for new conversations that address issues in tourism theory and practice in the Asia-Pacific region and beyond. The Asia Pacific is one of the fastest growing regions in the world for both international and domestic tourism. The growth of this region has radically altered the global tourism landscape and contributed to new modes of tourism practice, while engendering a decentering of Anglo-Western centrism in tourism theory. 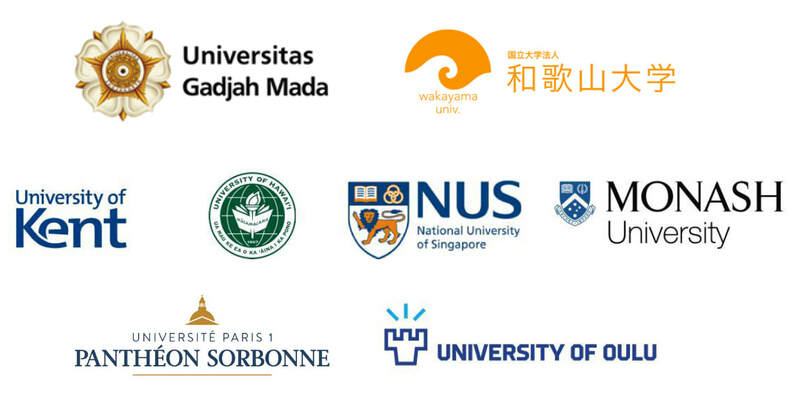 In this inaugural conference of the Critical Tourism Studies Asia Pacific network (CTS-AP), we seek to draw attention to the multiple modalities and recenterings of critical tourism scholarship. The aim of this conference is to stimulate new conversations that examine issues across tourism theory, policy and practice. By highlighting perspectives in and beyond the region, we address how the “center” of tourism scholarship is mediated by ongoing shifts in the global political economy, tourism geopolitics and environmental governance. We seek to re-frame the centers and peripheries of critical tourism studies through focused and critical analyses of tourism ideologies, practices, and policies, bringing a particular interest to how they circulate transnationally, regionally and locally through complex and manifold interconnections within the Asia-Pacific region and beyond. - Prof. Wiendu Nuryanti, Universitas Gadjah Mada, Yogyakarta, Indonesia. ​ Logo featured on conference website with hyperlink to your website. Logo featured on backdrop and conference proceedings. Inclusion of the sponsor’s marketing material in delegate satchels. Recognition during the conference opening and closing. One full page advertisement in the conference program handbook. For all sponsorship queries and to express interest in supporting the inaugural Critical Tourism Studies Conference Asia Pacific, please contact Dr. Joseph Cheer ( joseph.cheer@monash.edu ) and/or Dr. Guido Pigliasco ( guido@hawaii.edu ).